Click on [Emails] and then [Create email]. There you will find the option “Create copy”. After clicking [Select] you will see a list from which you can select the campaign you want to copy. 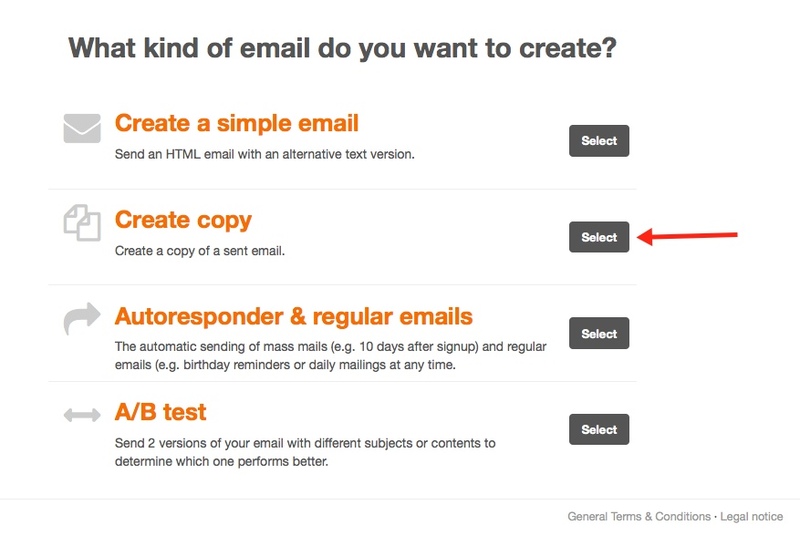 By using this option you can create a copy of a distributed email, add it to your drafts and then send it again. As an alternative you can copy a previously distributed email via the report section. Click on the [Gray arrow] > [Save as draft] on the right side of the email you want to copy. The email campaign will be saved as a draft and can now be edited and distributed again.